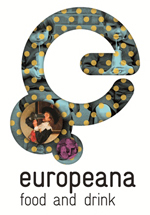 Europeana Food and Drink is a project funded by the European Commission under the CIP ICT Policy Support Programme (ICT PSP) that aims at promoting the wider re-use of the digital resources available through Europeana. Focusing on the rich and vibrant European food and drink culture and heritage, Europeana Food and Drink wishes to engage the general public, creative industries, cultural heritage organisations and the food and drink industries in creating, sharing, learning and making use of food- and drink related content. The project brings together 28 partners from across 16 European countries and is led by the UK-based Collections Trust. Leading content providers, creative technologists and creative industry partners are working together in order to create an evocative suite of commercial applications and products featuring food- and drink related content catered to specific audiences. Developing and sharing new knowledge, understanding and guidance on successful public/private partnerships focused on digital cultural content.